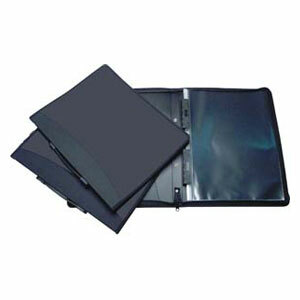 The Colby Zippered Binder Display Book features premium quality copy-safe and zippered double A3 pages. It is a refillable display book with a card window and featuring clip fitting and spine handle. Refill with Colby Art Display Book Refill Pockets.